Is it hard to take dentist education? Just like every other profession, being a dentist has its pros and cons. Therefore, you must consider both before making any decision about choice of career. If you are thinking about pursuing your career in this field, you must be aware of the fact that becoming a dentist is really challenging. It is not an easy job to do. Apart from the difficulties that a dentist may face in professional life, the academic experience and the dentist education is itself very hard. Here are a few things to make it clear that dental education is not easy and one must be mentally prepared for it before taking admission. If you want to go to a dental school after completing your high school, remember that you will have to spend about 7-8 years studying dentistry. On top of that, most of the reputed institutes won’t accept your admission application if you don’t have a bachelor’s degree. So first, you will have to spend four years in a university for acquiring a degree of bachelors in the major subject of your choice. Although there is no particular prerequisite regarding the primary subject for getting admission in dental college most of the pre-dental students prefer to choose science as a major. Once you successfully complete your bachelors and get a degree, you can move ahead to take admission to a dental college. Here is another critical thing to remember. Before you enter dental school, you need to take some specified classes. The exact requirements may vary from institute to institute. Simply put, you need to graduate from a university. After that, you will have to take the Dental Admission Test. The American Dental Association conducts the DAT test which includes the multiple-choice questions. It is designed to measure the students’ academic ability and their understanding of general scientific information. Every student who aims to take admission to a dental college must pass this test. Without clearing it, no dental institute in the U.S will grant you admission. If you want to take dental education, you must score well in the test. After the DAT, you will be called for the interview, and then you may finally get admission. After all this trouble of completing the bachelor’s degree and taking a dental admission test, you will have to spend four years to complete your doctorate program at a dental college. The program is very demanding, challenging and stressful. In order to be successful, you will have to be dedicated, committed and consistent in your efforts. Once you graduate with your sheer determination and untiring efforts, the institute will award you the DMD or DDS degree. 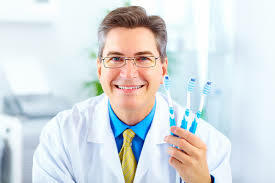 You become a dentist as soon as you complete your dental school. To further polish your skills and to prepare yourself for the professional life, you can also choose to take some post-graduate study programs. For instance, you can opt for General Dentistry Advanced education or General Practice programs for excelling in your field. Besides, there are some more specialization programs that you may take, and their duration ranges from 2 to 6 years. All the dentist at Tannlege Sandefjord have taken their dentist education for 8 years, becoming one of the best dentist clinics in the industry. Thus, to take dentist education is not easy. You need to spend plenty of time, energy and dedication. Besides, bearing expenses for all these years of education is not easy as well. So if you are planning to be a dentist, remember that you will have to do your best for becoming successful. Copyrights © 2019 freshexam.com | All Rights Reserved.